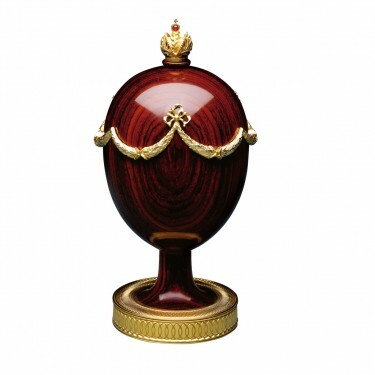 The Swag Egg represents Theo Fabergé's skill with both wood and lathe. 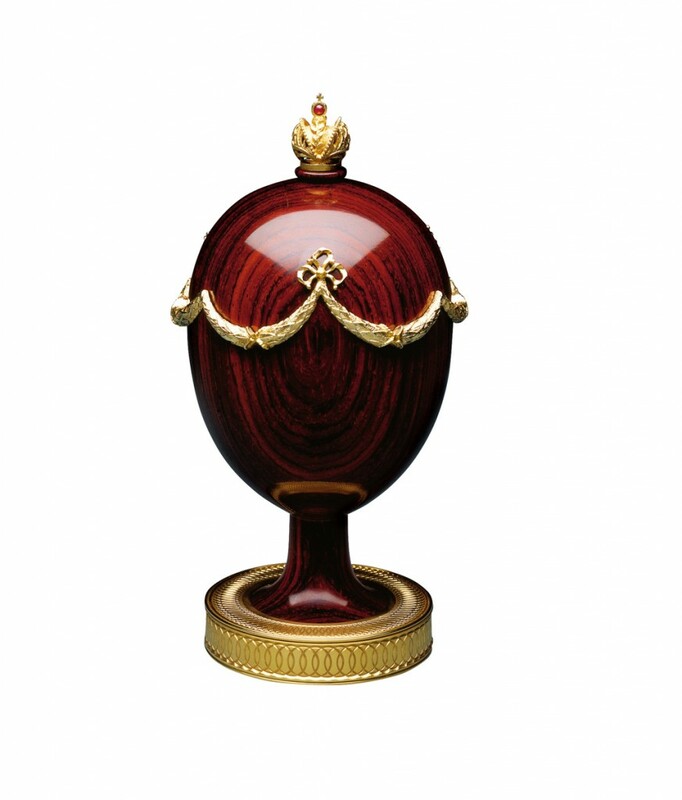 It is made of cocobolo wood encircled with swags and mounted with the Russian Imperial Crown, all of vermeil. The Crown is set with a fine cabochon ruby.